This guide is designed to help legal advocates be a voice for the voiceless. 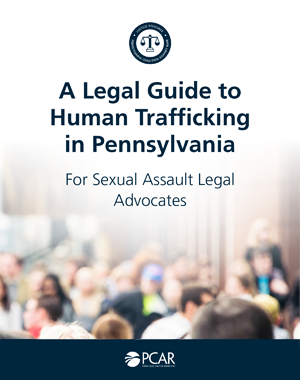 The guide reviews federal law along with Pennsylvania law and its application to some of the first cases prosecuted under Act 105, Pennsylvania's Anti-Human Trafficking Law. Information on assistance available to victims of human trafficking in Pennsylvania is provided.